In order to make it more 'architectural', the pumping thing was put on a soil. 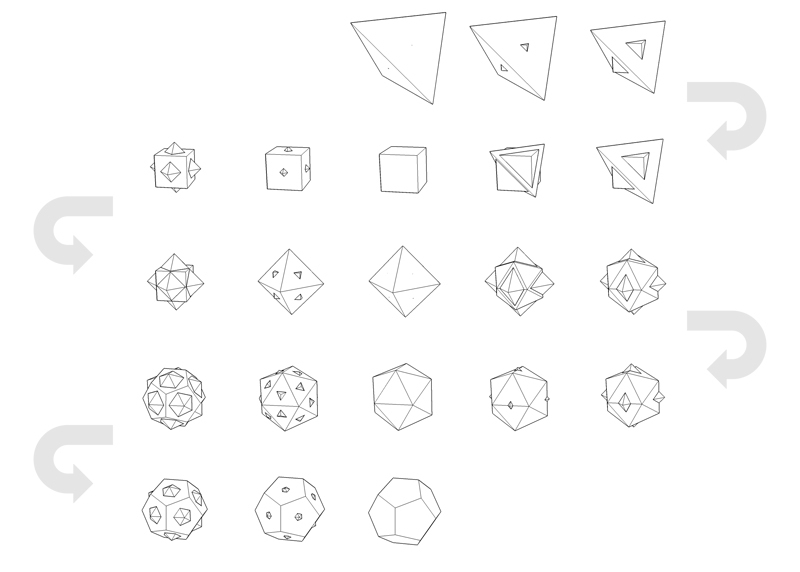 On the top left: pumping icosahedron and dodecahedron. On the top right: the intersection.